Like many games there are multiple ways of getting your hands on this new game. It is available on Origin, in the more traditional PC format (installer disk) and also for PlayStation 3 and Xbox 360. Inside the package you get what you would expect, a small booklet and the game DV; not much really which is why most people will be grabbing this from Origin (it saves on space…). If you do opt for the Digital copy (although we do not like Origin) you can also get a deluxe edition of the game. This edition includes te base game, an “early SOG unlock: for Battlefield 3 players, a SEAL Sniper and Rifle Multiplayer game unlock, a Russian Spetsnaz Alfa group heavy gunner multiplayer game unlock and a digital soundtrack for the game. That is not a bad deal for about $42. The standard edition online will set you back $36 while grabbing this in any of the physical forms is $60. The installer is quick and easy. Including download time the game was installed in about 30 minutes. The download is over 14 GB but after installation it will occupy about 18-20GB of space on your HDD. This is not including saved games so you might want to plan on about 25GB of space to make sure you have plenty of room for this. Once the game is installed you can launch it and get things configured to your taste. 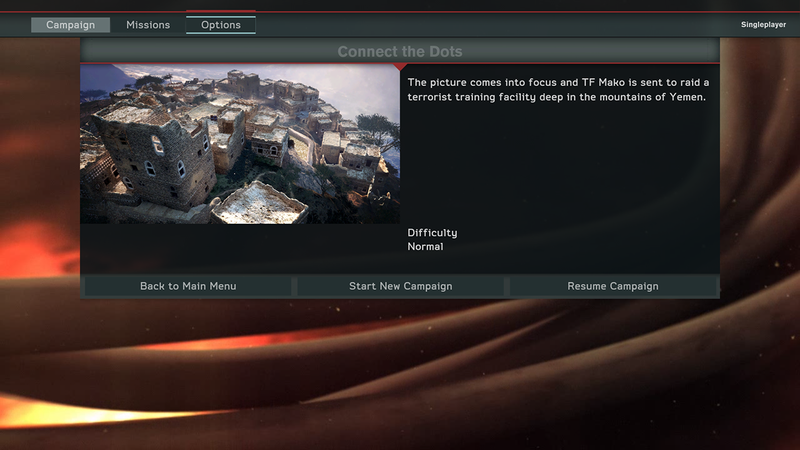 MOH Warfighter is based on the Frostbite 2 Engine and while it does not need a ton of CPU power you will need to have a fairly up-to-date system. To run you have to have at least Windows 7, 2GB of RAM, an nVidia 8800GTS or Radeon 3870 (with at least 512MB of video RAM) and for CPU you need an Intel Core 2 Duo 2.4GHz or Athlon X2 1.7GHz. If you want to run with all the eye candy on and still have a playable game you need 4GB of RAM and at least a GTX560 or Radeon 6950 (with 1024MB RAM). For CPU speed you need an Intel Core 2 Quad Core at 3GHz or a Phenom II X4 at 3GHz. Things can get pretty demanding if you want everything running. 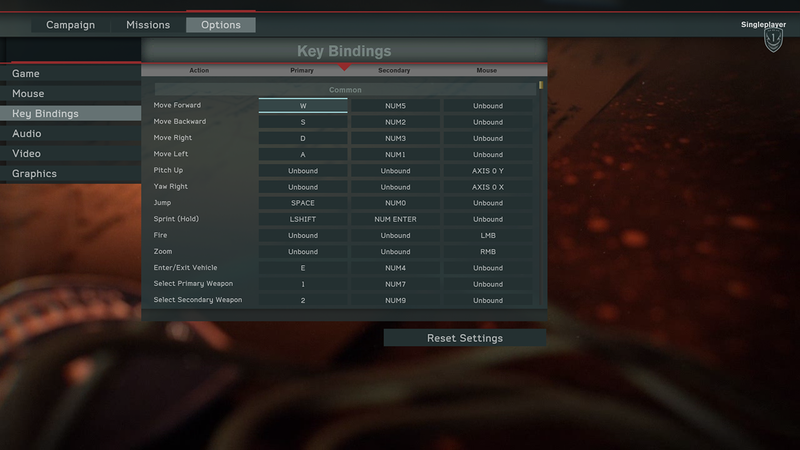 The configuration options in MOH Warfighter are nothing special and in the end you can get everything you need done pretty quickly. 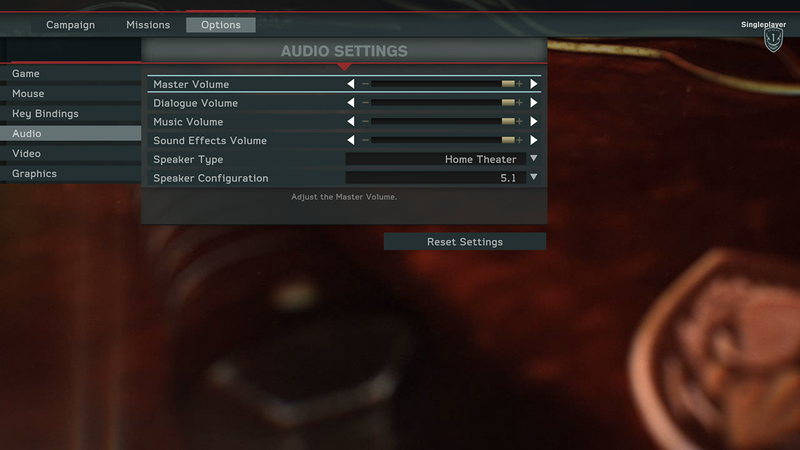 As with many games these days we do wish that there were more options for audio, but considering that many systems are still using audio that is just good enough we cannot expect game developers to go too far into this realm. On the graphical side of things you have plenty of options for almost everything, but Anti-Aliasing. 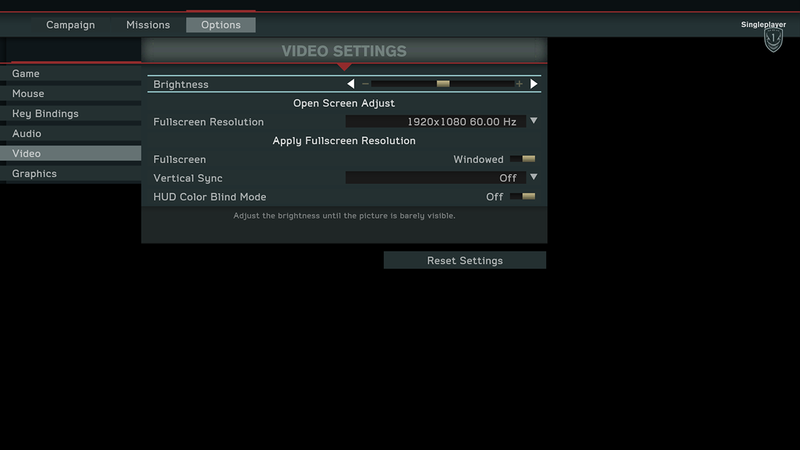 For some reason your options here are 2x and 4x MSAA (Multi-Scene Anti-Aliasing). 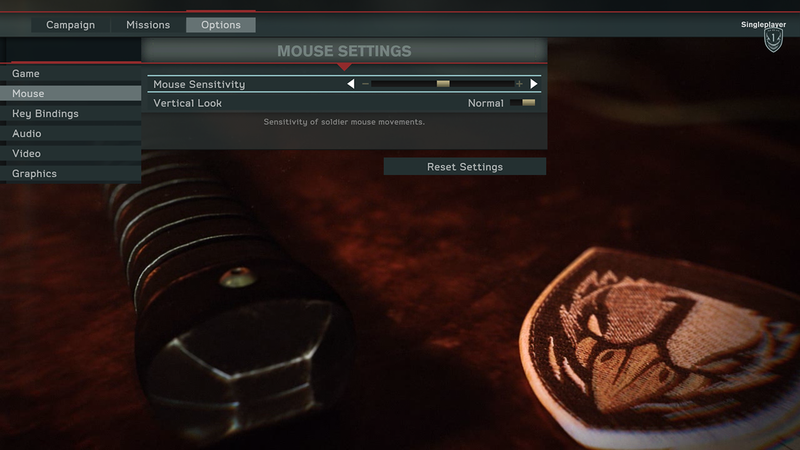 in game options are fairly simple with settings key bindings, mouse sensitivity, and also options to toggle prone, crouch and weapon pick up. Overall you can get to what you need very quickly ad set up the game to your liking. We have some good news and bad, on the one hand we do like the first person, fast action style of the game. The combat is pretty good and most of the weapon depictions are accurate. Some of the tactics are a little off and moving through the game there are things that are not just not right. However, outside the obvious discrepancies (probably on purpose) there is another issue. This is the sheer amount of cut scenes and what they do to the game flow. You are forced to sit through a startling number of them. Yes, they are intended to be there to help the story line along, but they get in the way of the game. There are also an annoying number of times where you are “locked” in place or slowed down so that you do not miss “important” data. Again this slows down the game considerably. 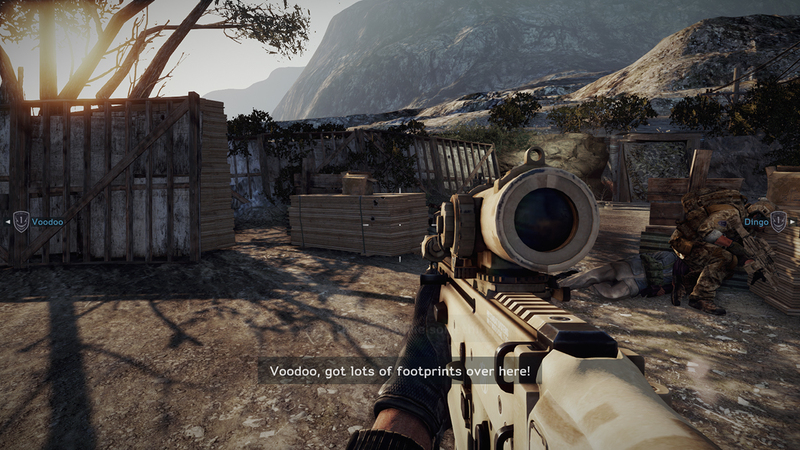 Medal of Honor Warfighter also has some technical glitches. There were a few points in the game where we jumped in space because we were too close to a wall, or where we could see ourselves, but the background images were wrong for a few seconds. These most often occurred during the driving parts of the game, but we still saw anomalies in other areas. We hope that EA fixes this quickly as this is a game that could be much better if some of this was fixed. In the game you get to use a variety of weapons and a couple of vehicles to accomplish your goals. EA and Danger Close did spend some time on door breaches. Now instead of a single option (a boot to the door) you get to choose different styles of breach; at least you do if you can get enough head shots going through the door. You can check out some of the game play in our video below. As we mentioned the game does have some fairly high requirements to run with everything on. When we maxed out the settings (everything on Ultra) on our GTX 570 we could not get more than 30 FPS and while this was plenty for smooth gaming there were times when we could see things slow down. We had to back things off to High we were able to run between 65-70FPS so there is something in that Ultra setting that really kicks your GPU in the crotch. Audio performance was very good with the right amount of echo and reverberation in certain scenes. Overall I liked the game, but there were many things that I wish EA and Danger Close would have done differently. The single player game is far too short and while the story line did pull you in a little it felt too much like the last game for my tastes. You cannot simply repeat the same formula and hope that no one notices. Even the changes in setting did not cover the fact that you were still entering a room, killing everyone and then either chasing someone down or running for your life. Having said this, we have to say that we did play through the entire single player game and might play it again if there was not anything else to play. We cannot say that it is completely worth the money that you will spend especially if you get the physical copy of the game. If you grab the standard version of the digital copy then, well you will almost get your money’s worth. Realistically the game is too repetitive and short to be priced at $40 even with the multiplayer side of thing.